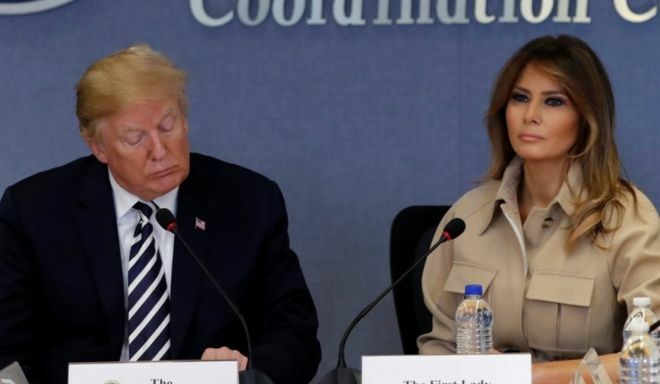 US President Donald Trump has lashed out at media reports about Melania Trump's rare public appearances. "The Fake News Media has been so unfair, and vicious, to my wife," he tweeted on Wednesday, dismissing suggestions of a "facelift" or "abuse". On Wednesday Mrs Trump made her first media appearance in weeks at a hurricane briefing with Mr Trump. Last month she under went surgery and was in hospital for five days for a "benign kidney condition". "She is doing great," Mr Trump said during the briefing at the headquarters of the Federal Emergency Management Agency to discuss hurricane season preparations. "She went through a little rough patch, but she's doing great and we're very proud of her," he told members of the presidential cabinet as she sat by his side. "The people of our country love you, so thank you, honey," he told her. Mrs Trump did not speak while reporters were in the room, and wore a tan trench coat during her appearance. 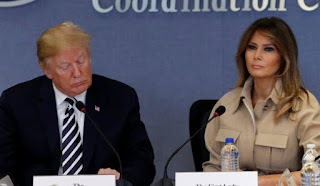 In a pair of tweets earlier on Wednesday, Mr Trump railed against ongoing media speculation about Mrs Trump's whereabouts. 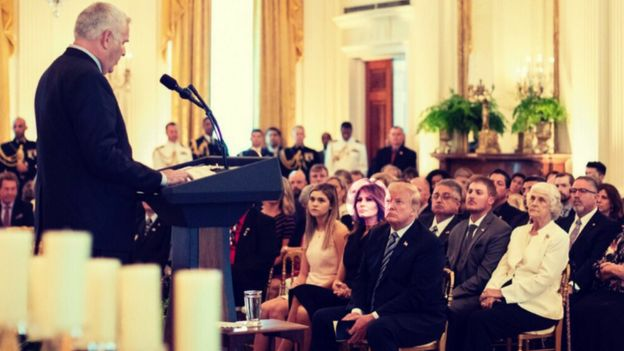 On Monday, she sat beside her husband at a private White House event for Gold Star families - parents of slain soldiers - but members of the media were not invited.